From basic lock repairs to fortification of your commercial setup with advanced lock systems, Parker Locksmith Store has established itself as the master of a wide range of commercial locksmith services in Memphis, TN area. Apart from basic lock & key services, we know that every business has its unique security needs, depending on the type of operation, the number of employees, the size of the property, and other factors. The commercial security experts at Parker Locksmith Store will thoroughly assess your current system, and make recommendations to improve safety. There are many effective options available to businesses that will protect against internal or external threats. Among them are high-security locks for sensitive areas or an exclusive keyway system that limits access and key duplication authority to particular people. Advanced locks make it easier for you to assert better control over your business’s security. As is the case of most of our commercial clients, loss of keys is very common. You can get in touch with us and we will make you new keys within minutes. Most of the businesses have restricted areas they don’t want their customers or certain employees to access. The best way to restrict access is to add locks that restrict entry on the basis of the personnel. A person with no authorized credentials can’t enter these areas as they don’t have the required access. Digital locks, keyless entry locks, and keypad locks can be installed in these facilities. We install these locks based on our client’s needs and you can get in touch with us and we will provide you similar solutions based on your needs. You might also consider restricted locks, which provide commercial users with special keys that cannot be copied. All of these options give you control over access to your facilities. 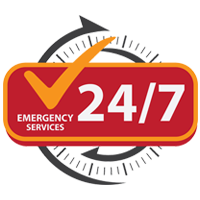 With all of these, we also promise emergency locksmith services, in case your security is compromised. 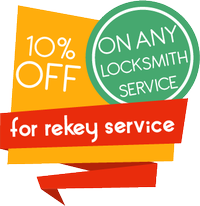 We can refit locks within a minute, reducing the possibility that any ill comes your way. We can also design and install master key systems, which eliminate the distribution of multiple keys, which could get into the wrong hands. We can create a single master key for every lock, as well as sub-master keys. This allows you to set the level of access throughout your workplace, and let you instantly activate or deactivate access if necessary. Only authorized people can ask for duplicate keys and possibility of malice is reduced significantly. Contact the expert commercial locksmiths at Parker Locksmith Store today for an evaluation of your lock & locksmith needs. Your business is too valuable to not properly protect it. Get in touch at 901-821-0166 with us and we will give you the expert locking solutions that you need to make your business more secure.